I use my computer as HTPC, so I always use sleep mode. In last few days it wakes up through the nights and doesn't react for anything, so I need to shut it down by starter button. Then, I have to reset my BIOS, because if not, my PC starts, but doesn't react for anything too. I'm testing sleep mode now and I can see that after two-three times, PC starts waking up immediately after I try to sleep it and is totally dead as after night wakes. Last night, I've just shut my PC down and everything was good, but it works for years as HTPC, so sleep mode is much more comfortable. Just a guess, but have you tried replacing the CMOS/BIOS battery? Thanks for your answer. I only checked the voltage and it looks like it's correct (3V). Do you think I should try another battery anyway? › Toshiba won't come out of sleep mode, won't power off. › [Solved] PC is completely broken, what now? As per T-R-A I'd go for a new battery. The BIOS likely reset due to the battery removal so make sure to double check all the settings. You might also look into a BIOS upgrade to see if sleep mode is one of the items addressed. Another option would be to not use sleep mode & just manually configure the power settings. To fix sleep not consistently waking or freezing upon waking: In Power Settings set Hard Drive to power down to NEVER (it powers down anyway when it goes into sleep and setting it to on causes issues with the hybrid sleep of a desktop so 'never' is the best setting here). If you still have a problem with waking from sleep or you have problems AND you are using an SSD drive, set Hybrid Sleep to Disable and let Windows use regular sleep (like a laptop) and you take the hard drive out of the equation. I don't want to say that everything is good before the night, but looks like it is :) I've changed the battery and now i'm testing sleep mode for few times - all works as it should. If I could, I would select as best answer also #4, but I can only choose one. Hopefully you've resolved the issue. Had the same issue with a CompaqEVO e-PC (basically a laptop in a SFF case). After few weeks when everything was working great, it happens again. The difference is, now it goes to sleep and never goes back. I mean, it looks like Windows is doing everything right, it takes few seconds until it goes to sleeping mode, but then I can't wake him up through keyboard+mouse or by pilot. If I try to start PC by power button it starts, but being dead anyway and I need to reset bios by clearing cmos jumper. Of course, at first I tried another battery, but it doesn't help now (actually it didn't help just after i've changed it, then it has worked for few times, now it doesn't work at all). I've tried to put battery totally out, but all is the same. So I guessed, maybe it's not even seen by motherboard, but when I pulled out AC cable, without battery plugged in, then hour&date were lost. With the battery it was kept. I've also installed fresh Windows10 on another partition to test if it's sth with the OS, but all is the same. I've checked also if S1 sleep state is working well instead of S3 - yes it is. Do you have any ideas what's the reason? Is something broken in my motherboard? It's Gigabyte GA-946-S3. Did you adjust power settings in Windows so that the Hard Drive is set to "Never" power down. This will prevent the hard drive from being in a power down state when hybrid sleep is trying to save to it, causing the hanging and fail to wake. The hard drive is powered down anyway during the sleep so it is not necessary anyway. I have had Gigabyte motherboards that have had this problem but cannot tell you if it occurs on other brands. This is how I have solved it. Your problem may well be something else, but it is certainly worth the try. Without the CMOS battery the BIOS does not save the settings which is why you change it when the date or other settings become wonky. Hey, thanks for your answer. I've set it to Never, but it didn't help. I've also checked if this could be something between hardware-windows, but all looks the same on live-cd Linux - PC goes to sleep, but then it's unwakeable. If you got any other ideas I'm willing to test anything you have in mind. You can try disabling Hybrid Sleep and letting it use regular sleep as on a laptop. Hybrid sleep saves the state both to RAM and the hard drive, regular sleep saves it only to RAM. I am running it this way now because a problem with the PCIe SSD was having problems with sleep and waking. now it works well (months so far) going into and out of sleep. Certainly worth a try for you. Actually, I didn't use hybrid sleep, but by now, as sleep mode doesn't work, I've activated hibernation, so it have automatically turned on hybrid sleep. Hybrid sleep works as if I put PC to sleep and it stops to react for anything, then after I reset BIOS, computer starts like from hibernation. Have you got a setting "wake on lan"? If so,then ensure it's disabled, as (and this is very long shot) it mignt be part oft he problem? I've asked at tomshardware forum where my helper had put my eyes into PSU. I've checked my PC with another one - it worked. Thank you for the feedback... The number of time that a psu is the culprit... Sadly so many of those units are seriously less than they might be... 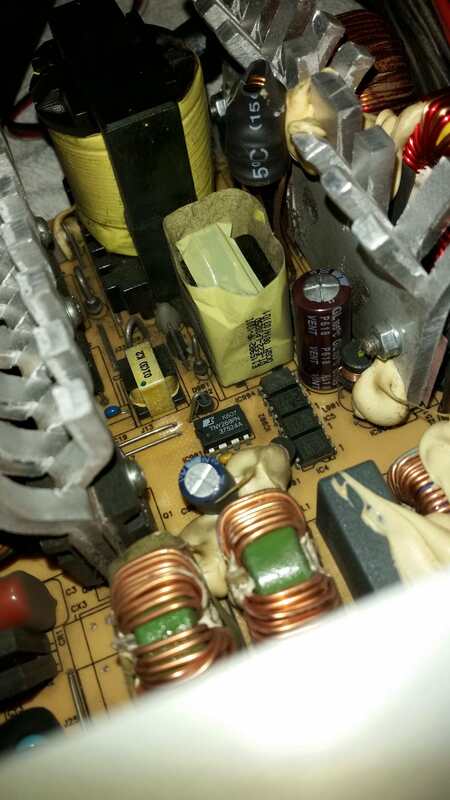 Which is not to say that even high quality psu don't have component failures. 1 – Press windows key + i to open settings panel. 3 – Now, in the left menu panel, click on power & sleep. 4 – In right side in sleep section, just click on timing options and select never from dropdown. Please note that this post was solved back in November.